Kim Jong-Un: My Faith In Trump Is Unchanged And I Still Want To Denuclearize During His First Term - Joe.My.God. 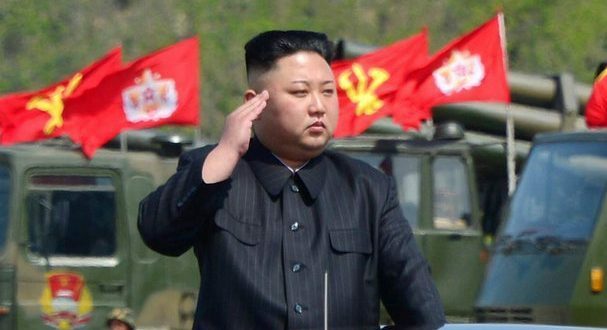 North Korean leader Kim Jong-un’s faith in Donald Trump remains “unchanged” and he wants to denuclearise the Korean peninsula during the US president’s first term, South officials say. Mr Kim made his comments to envoys from Seoul who were in the North to arrange a new leaders’ summit later this month. Relations between the North and the US have soured since the historic Trump-Kim summit in Singapore in June. Most observers warn the North has taken no meaningful steps to denuclearise. The summit being planned will be the first time in more than a decade that a South Korean leader has visited the North Korean capital. “Chairman Kim Jong Un has made it clear several times that he is firmly committed to denuclearization, and he expressed frustration over skepticism in the international community over his commitment,” Chung Eui-yong, Moon’s national security adviser and the head of the South Korean delegation to Pyongyang, told reporters in Seoul. Kim told Chung he still had faith in Trump despite diplomatic setbacks, and emphasized that he has not once talked negatively about Trump to anyone, including his closest advisers.